OZ SCOTT is an accomplished and award-winning television, theatrical and motion picture director. In his two decades plus years of experience, Scott has directed hundreds of television episodes along with dozens of stage productions, made-for-TV movies and motion pictures. 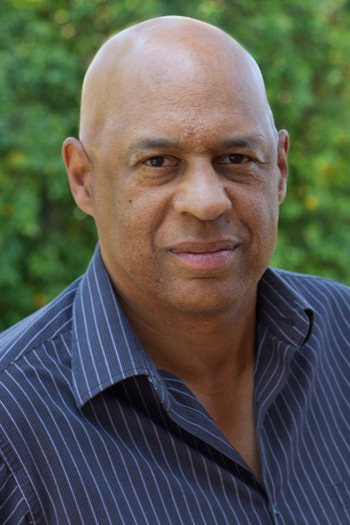 Oz Scott is a seasoned entertainment industry veteran and a highly sought after director whose notable work throughout the past decade can be seen on dozens of highly-rated network and cable series. One of the best in his field, Scott has directed episodes for Boston Legal, CSI, CSI NY, The Unit, ABC’s The Practice and Wonderland, NBC’s American Dreams and Ed; CBS’ The Guardian, Family Law, The District, JAG, and American Gothic; and FOX’s Ally McBeal and Party of Five. Oz’s magical touch extends into the cable universe as well, having helmed several episodes of Soul Food (Showtime), Any Day Now (Lifetime), and the extremely popular movie on The Disney Channel, The Cheetah Girls. He served as supervising producer for CBS Television’s The District. In 2002, Scott directed one of VH1’s highest-rated programs, the original motion picture, Play’d: A Hip Hop Story. Directing Play’d added to Oz’s list of motion picture credits, which include Tears and Laughter: The Joan and Melissa Rivers Story (1994), Spanish Judges (1999) featuring Vincent D’Onofrio and Matthew Lillard, and the renowned comedy smash hit, Bustin’ Loose (1981) starring Richard Pryor and Cicely Tyson. This wizard of directing is no stranger to success. Throughout the 1980s and early 1990s, Oz’s directorial talents enhanced the success of popular prime-time skeins such as The Cosby Show, Northern Exposure, Chicago Hope, Picket Fences, LA Law, Diagnosis Murder, Hill Street Blues, Fame, Dirty Dancing, 227, Scarecrow and Mrs. King, Gimme A Break, and many others. In the 1970’s the director’s writing talents positively impacted such notable series as Archie Bunker’s Place, Alice and The Jeffersons. Mr. Scott believes being well rounded is essential to achieving longevity. His versatility has allowed him to maintain his presence in the theater where he has participated in The Eugene O’Neill Playwrights Conference for the past dozen years. Traveling to Russia with The Old Settler for the O’Neill, Scott directed both an American cast as well as a Russian cast in a Russian translation. He is currently Artistic Director of The O”Neill’s Film and TV Writing Conference. Mr. Scott began his professional theatrical career at Washington, D.C.’s Arena Stage, where he managed The Living Stage, an improvisational touring company. Soon afterwards, Scott found himself working in New York for Joseph Papp, where he stage managed Edgar White’s La Gente and Crucificado, Ed Bullins’ Merry Wives of Windsor and Taking of Miss Janie, Miguel Pinero’s The Sun Always Shines for the Cool, and Ruby Dee’s Twin Bit Gardens. Scott’s New York stage career then moved into the director’s realm. He eventually staged and took to Broadway the widely acclaimed, for colored girls who considered suicide when the rainbow is enuf by Ntozake Shange. In addition, he directed Sonya Sanchez’s Sister Sonji, Richard Wesley’s The Past Is The Past and The Talented Tenth, Reginald Veljohnson’s Section D. Also, Scott directed the highly successful productions of From the Mississippi Delta at the Cincinnati Playhouse and Fences by August Wilson at the Asolo Theater. Recognized for his contributions to the community, Oz has received an NAACP Image Award, the Drama Desk Award, a Village Voice OBIE Awards for Off Broadway, Genesis Award, and the Nancy Susan Reynolds Award. Mr. Scott is a graduate of New York University’s Tisch School of the Arts (M.F.A. ).